AS Antsla-Inno was founded in 1996. The company specialises in the production and marketing of upholstered furniture. In its early years, the company had 13 employees and a realised net turnover of EEK 250,000 per month. Since 1999, the company has grown constantly. 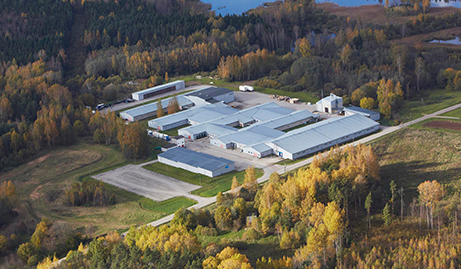 Continuous investments have raised AS Antsla Inno to the position of one of the biggest and leading industrial enterprises in Southern Estonia. Currently, the company has 220 employees and a monthly realised net turnover exceeding EUR 1 million. The majority of output is exported.